Brushtail possums are common enough here in Australia, having adapted very successfully to urban life. 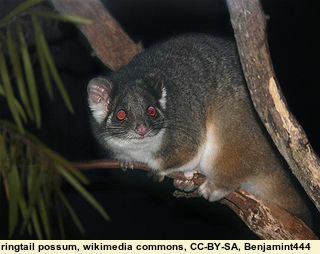 Less common are the much smaller ringtail possums. A week ago I was cleaning cobwebs off my roof guttering, and noticed what looked like a hairy caterpillar on the outside of one of the rain-heads. On nudging it with a broom the caterpillar disappeared and was replaced by a head with two large, startled eyes. The caterpillar was the tail of a possum! 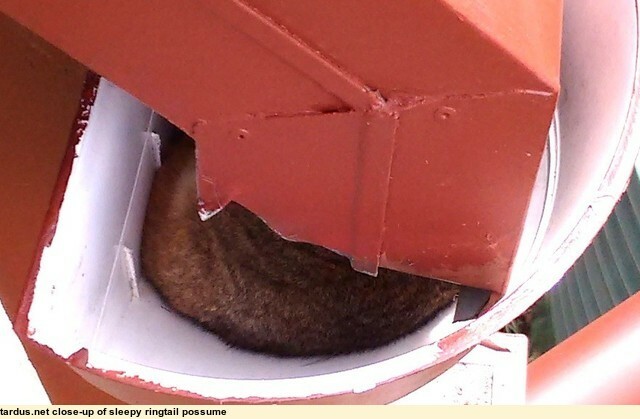 The ringtail was nesting in the rain-head, having already packed the down-pipe with grass and litter. 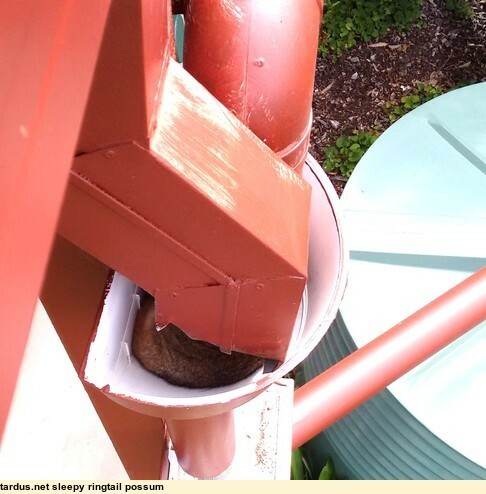 After being disturbed it left and ran away across the roof. Today I was showing my neighbour where it had been. Surprise surprise; it was back. How it finds it a comfortable place to sleep is a mystery, especially when it rains. Here is the rainhead. The rainhead is about 300mm (12 in.) in diameter.